I have a constant need to create, adjust and reinvent. My vanilla éclair is classic, at first sight, but when you bite into it you notice the melting texture, then the flavour of soft caramel and a delicate vanilla mousse. 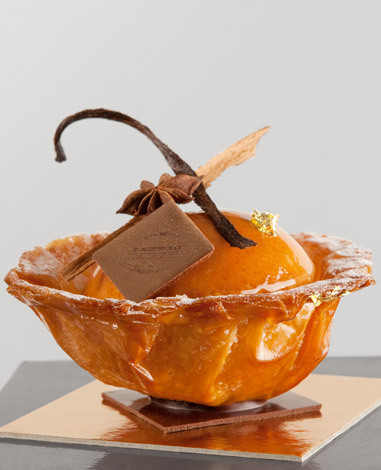 Vanilla is there in all its forms and the choux pastry flavoured with orange flower water allows for a fusion of tastes. It’s this sensuality that I’m seeking, texture pairings that amplify and deepen flavours but also bring infinite pleasure. 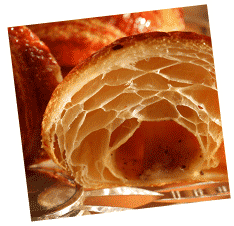 Thus I like the great classics of patisserie, which I rework to come closer to an ideal that I have had within me since childhood. 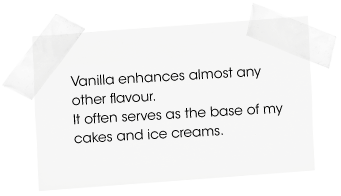 Vanilla is of course the uncontested star of my pastries and ice creams, but chocolate, coffee, hazelnut and pistachio are not far behind. I also like bold matches, as in the “Turandot” brioche served in Moscow, a plated dessert which, against a classic background of French toast with blackberry and cinnamon, is served with a blackberry and cinnamon ice cream and cinnamon crisp, a play in the mouth that combines tone on tone flavours and texture contrasts that enhance the different elements.